Meet the people who facilitate our programs around the world. Kim grew up as an advocate and a lover of life. She recently graduated with a Bachelor’s degree in Biology in the Philippines. 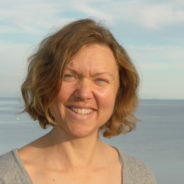 As a biologist, she has always seen the gap between scientists and people from local communities when it comes to scientific information being translated to address environmental and socio-economic dilemmas leading to her passion for environmental education with emphasis on interconnectivity and ecological understanding. She is an alumni of Young Southeast Asian Leaders Initiative (YSEALI) academic fellowship. Sulistyo grew up in Yogyakarta. He earned his degree in English from a Catholic university in his hometown. Sulistyo’s love in character building, combined with passion in adventures, led him to outdoor activities. He came to JUMP! 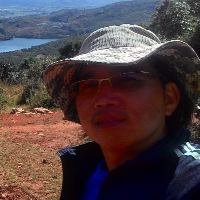 in September 2016, with years of experience in a variety of facilitation programs, from educational urban tours to wilderness expedition trips in Indonesia, Malaysia and USA. Sulistyo now works for JUMP! running programs on character development and environmental awareness. Zaki is an experiential learning facilitator who specializes in cross-cultural understanding, service learning, and outdoor expedition. He guides students to experience and learn positive values from cultures other than their own, and in doing so helps students realize how they can bring about positive change in their community. 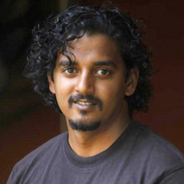 Prior to working in experiential learning, Zaki taught cross-cultural understanding. In this capacity, he also served as treasurer for five years and organized community service programs in four villages around Yogyakarta for two years. 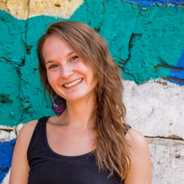 Katharina was born in Moldova, grew up in Germany, lived in the USA for 6 years and has spent the last 7 years around Thailand and Malaysia. She loves to discover new places, learn about the culture there, and try new delicious foods. 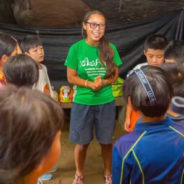 After Kat graduated from Utah Valley University with a Bachelor’s Degree in Exercise Science, she returned to Thailand and started implementing movement and experiential learning in her English Teaching Classes. Kat has worked as a corporate employee trainer, a Fitness Boot Camp and Zumba Instructor. Growing up in South America, Vanessa dreamed of traveling the world to explore new cultures. Her first big move was to Canada. 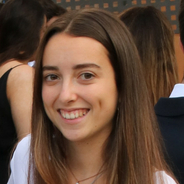 Vanessa is now pursuing an MBA at IE-Madrid with a focus on social impact. During this time of self-reflection, she also understood firsthand the value of learning by experience. She hopes that youth across the globe can have access to similar developmental opportunities/experiences. This is why she finds JUMP!’s work so inspiring and sees how impactful JUMP! can be in developing the region. Rick is an ex-Australian Army Officer with extensive leadership training and facilitation experience. Military appointments included command of a Leopard Tank Squadron and he was the inaugural Director of the Australian Defence Force Peacekeeping Centre. Rick has held a variety of specific training appointments that included responsibility for the personal development and leadership training of naval and military officers within the Australian Defence Force (ADF) and for regional defence forces as instructor and guidance officer. Born in Finland and raised in sunny Florida, Rebekka developed a love for travel at a young age. In high school, she embarked on her first solo journey in Taiwan. Since then, she spent a semester in Italy, worked summers in Finland, and volunteered as an environmental educator in Nepal. In 2015, Rebekka graduated from Florida State University with a B.S. in International Affairs and Environmental Studies. Her international experiences and her job at the FSU Center for Global Engagement sparked her interest in experiential education. Lu Yi was born and raised in Hunan, a province in Southern China. He participated in some charity associations in college and did an internship at a Cooperate Social Responsibility (CSR) enterprise. His passion in public welfare had led him to join Teach for China as a voluntary teacher once he had graduated from Sun Yat-sen University with a Bachelor’s Degree in 2011. After two years in an mountainous elementary school as “Mr. Lu”, he stayed for another year in Teach for China as a program manager, whose priority is to train and support teaching fellows. d’Arcy Lunn is from Australia. 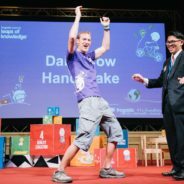 He is a global citizen educator, communications expert and keynote presenter who is passionate about teaching, sharing, volunteering, travel and learning. For the past 16 years his passions have taken him to more than 85 countries around the world – including Kyrgyzstan, Arctic Canada and throughout Africa working with UNICEF and others. Since 2009, d’Arcy has delivered a mix of information and inspiration in over 700 presentations and workshops to a blend of audiences from schools, universities and hospitals. Jillian grew up in Maryland, USA, and spent her childhood traveling to soccer tournaments and playing outdoors with her 3 siblings. During college, she spent a semester in Florence. Her experience sparked a fascination with living abroad. 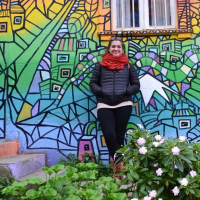 Upon graduation, relentless to settle for a 9-5, she decided to move to Prague where she earned a TEFL degree. 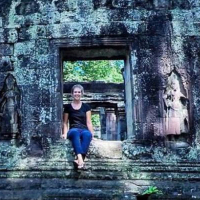 After more traveling and networking, she was led to a teaching job in Chiang Mai, Thailand. Chiang Mai has been her home now for over 4 years. 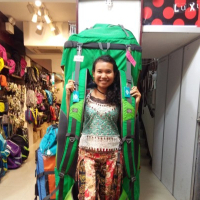 Hiking, camping and eating are some of her favorite things to do in SE Asia. 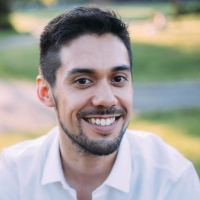 Originally from Canada, Frank has worked with youth and community groups in over 100 rural villages and urban neighborhoods in almost 20 countries in Latin America and Asia. He is the founder of Global Potential, a youth leadership organization with 120 volunteers operating out of offices in 3 cities. Since 2007, Global Potential has provided over 2500 youth in New York, Boston, Paris, Haiti, Dominican Republic, and Nicaragua, with transformative life experiences through travel, cultural exchange, service learning, and experiential education. 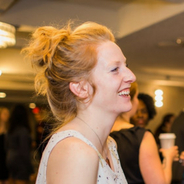 Born and raised in Toronto, Canada, Jacqueline is living the dream trying to find a balance between her love for working with youth and her passion for international development. 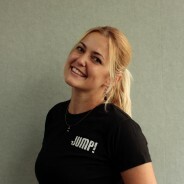 Jacqueline was a full-time member of the JUMP! team in Beijing from 2011-2014, acting as a Partnership Manager, China Program Director, and most recently as the Global Program Director. Before moving to China, she spent eight years working at a summer camp for girls and volunteering in Thailand at a children’s home. Jacqueline has also worked as an intern at Free The Children in Toronto. Megan is from London, UK. She has facilitated 7 previous YPO Board of Directors Meetings and is looking forward to joining the JUMP! Team again for another adventure. Megan is the Founder of Move The World, a charity focused on supporting personal and community development in the UK and Ghana and works for her father’s consulting business RISE Beyond. Dan came to JUMP! after several years of working as an international school educator in the Caribbean and East Asia, where he taught Theory of Knowledge, IB Psychology, Humanities and History; was the faculty advisor for the Global Issues Network student groups; and coached several varsity basketball and volleyball teams. Dan has also spent time in Costa Rica, Nicaragua, Suriname, Peru, and the Philippines, working to empower youth. Before joining the international school scene, Dan taught in a large public high school in northwest Florida. Aveleigh was braised in the quaint rural setting of southwestern Ontario, Canada. In a high school surrounded by cornfields, she devoured all of the global issues and art classes she could and her passions for positive social change was ignited. She’s been traveling her own unpredictable path ever since. 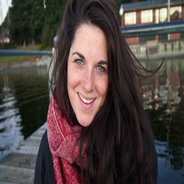 Aveleigh has a degree in International Development and Globalization from the University of Ottawa, as well as an MSc. in Arts & NGO management in France. She has spent the last 7 years turning into an expat – traveling throughout Europe, Asia and Africa. Raised in New York, Mei Lum spent most of her childhood in the back kitchen of her grandparents’ Chinatown antique shop. 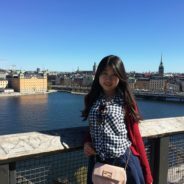 Through her grandfather’s teachings of Chinese poetry, Mei became inspired to pursue her studies in Chinese language and culture as well as her passion for education and community development. 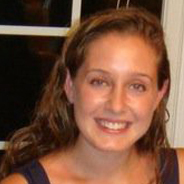 After graduating from Mount Holyoke College in 2012 with a B.A. 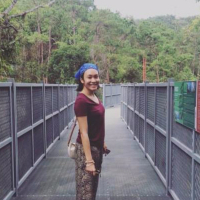 in East Asian Studies, Mei flew to the small quaint town of Phang-nga in southern Thailand and started her first year as a Princeton in Asia (PiA) Fellow. Bozy hails from Singapore. She is currently a 3rd year law student at Yale-NUS College. A novice at improvisational theatre, Bozy finds pleasure in listening to stories and using humour to connect with people around her. She is extremely passionate about experiential education and have engaged in community work with youth for many years. During her free time, she roams around on her bike and with her camera. She enjoys capturing moments and snapshots of life. Anna comes from Australia. She studied nutrition dietetics and exercise science at the University of Wollongong. 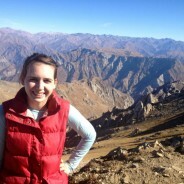 Anna went to Nepal as an Australian Youth Ambassador for a year and enjoyed trekking and biking. She worked in health education throughout Southeast Asia. Anna is in Thailand now completing a PhD in health behavior change. In her free time, she likes doing laughter yoga, ultimate frisbee and hula hooping dance. She also started facilitating TeamUp mindfulness groups. 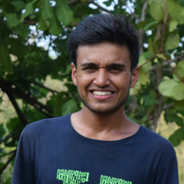 Prashant is an outdoor educator from Darjeeling, a mountainous region in India. 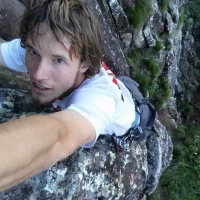 He started rock climbing when he was14. Prashant had climbed several mountains in the Himalayas. He loves to travel, beach, coffee and motorbikes. He has a degree in humanities. Lawrence was raised in England. 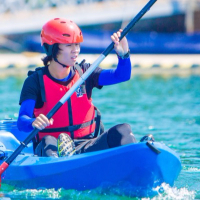 He loves sailing, kitesurfing and surfing. Lawrence worked as a harbour patrol officer rescuing water users, as well as wildlife. He has a business degree, and has a passion for meeting new people and sharing adventures. 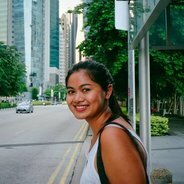 Elise is from Kuala Lumpur. She enjoys catching up on the newest films and television series, reading, travelling around the world, and meeting new people. 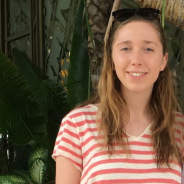 Elise has spent a gap year visiting Cambodia, New Zealand and France. She also has gone from working at an NGO, obtaining her ski instructorship certification, and getting a diploma for Basic Cuisine and Patisserie in Le Cordon Bleu. Andreas is inspired with the work and the impact of JUMP! to youth, and joined in Jogjakarta in 2016 and Bintan in 2017. In the past, he volunteered teaching English for garment workers. 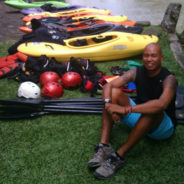 Andreas handled corporate and outdoor training programs in Indonesia. He led expedition teams to the peak of Mt Carstensz in West Papua. Andreas is a certified Wilderness First Responder. He has a degree in theology and philosophy. 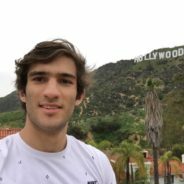 Andreas loves yoga, digital art, photography, writing and watching movie. Pheerawitch is from Chiang Mai, Thailand. 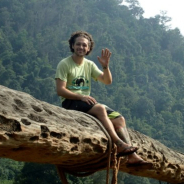 He works as manager and facilitator at Chiang Mai Rock Climbing Adventures. 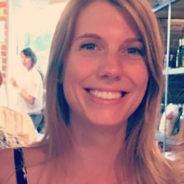 Tina has worked in outdoor education industry for 5years,she is very passionated in working on experiential education trips with kids.She has worked in many different programs with different company .She is climbing instructor and certificated PSIA ski instructor , Wilderness First Responder and PADI diving rescuer. 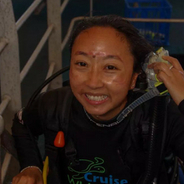 Jackie is an experiential educator and nature lover who has worked to foster communication and conservation in countries including the Philippines, Cambodia, and Indonesia, mostly with coastal communities, and often underwater. She also loves using the arts, especially singing and dancing, to open people up and bring them together. She graduated from Washington University in St. Louis with a BA double major in anthropology and dance and is a scuba instructor. Ge Qin is from Yinchuan, Ningxia. She holds a bachelor’s degree in Management. She previously worked as a director with Hunan TV and CCTV. Ge Qin loves to travel. She went in Prague for an exchange program, and travelled across Europe. Tan was born in Penang, Malaysia and developed a love for the outdoors since after he went on his first camping trip at 7 years old. But it was much later in life, after he observed the powerful effect of a 5-day outdoor challenge course on 14-year-old students, that he realized that facilitating learning is his true passion. That was in 2004. Since then he has not looked back and has worked with more than a thousand students in Malaysia, Hong Kong, China and Australia. for 6 years and has enjoyed every minute of it. 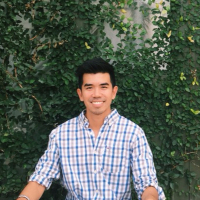 Over the last 4 years he’s had the opportunity to work with International students around the world – helping them explore Thailand and giving them the ability to get in touch with his home country’s culture, nature, community, and lifestyle. 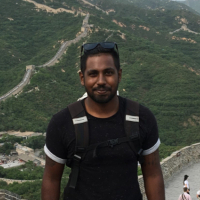 He hasn’t only stayed in Thailand but has had the chance to go to China and has had other adventures throughout SE Asia – immersing himself in cultures and languages along the way. After having graduated in Sociology from a university in Poland, Monika has been travelling ever since. It’s been over 9 years now, that she left her motherland, Poland; and she has travelled across the world. She has lived in Italy, Norway, Switzerland, New Zealand, Canada, India – where she volunteered in local schools and Singapore where she started her journey in experiential learning. She likes to call Inda her home. Coming from a family that was into outdoor sports, she was naturally inclined towards nature and travels. She is a certified Ski Instructor, Rescue Diver, and Wilderness First Responder. She loves challenges and meeting new people. She is ready to JUMP! Are you? 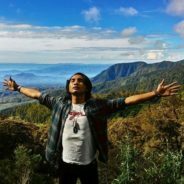 Adhi had been roaming on mountains in Indonesia since he was a schoolboy has been completely captivated by experiential learning since 2002. Since then he has been working for thousands of people from business people, government employees, community members and students in many settings: indoor, outdoor, urban and wilderness. 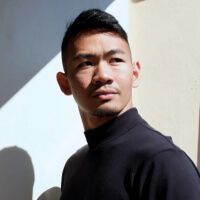 Although his career in experiential learning also shares a space with his other passion as a graphic designer for several years, he came back fully to the facilitation field in 2009 and put his whole heart in it. Adhi joined JUMP! in 2016 and has been working in facilitating and program managing for a wide range of students in different countries and different types of activities. He enjoys his time with good friends, good food, exploring nature, trying new fun things, karaoke and instagram. Zoé is half-French and half-American and grew up Miami, New Caledonia, Key West, Madagascar and France. After finishing her B.A. 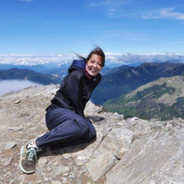 in Spanish and Global Studies, she worked in Switzerland, leading outdoor education trips, and then spent a year teaching English at a university in Santiago, Chile. She is passionate about travel and writing and hopes to pursue a Master’s in Creative Writing next year. Until then, she will keep exploring and diving into new environments and cultures, extending the limits of her comfort zone! Pooja was born in raised in Toledo, Ohio, USA. 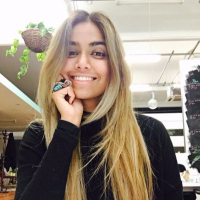 After graduating from Northwestern University outside Chicago, Pooja spent two years in the Silicon Valley working for Apple as a communication researcher with the Graphic Design team. Loving the work but wanting to explore new places, Pooja gave into the travel bug to connect with her familial roots and venture into a new kind of research — in 2008, Pooja moved to India as a Fellow with the William J. Clinton Service in India Fellowship where she worked on increasing access to livelihoods and improving access to clean drinking water technologies. 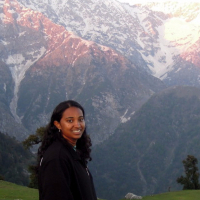 Nine years later, Pooja continues to live in India having worked and travelled in various cities, small towns and villages, including the Andaman & Nicobar Islands off the eastern coast of India where she worked as a professional SCUBA diver and organised nature and bird-watching walks. 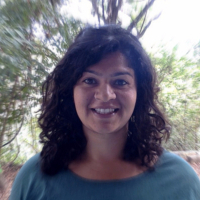 Now living in Goa, she continues to explore and learn about the local biodiversity, ecology and culture organising outdoor adventures for adult travellers and young students. She loves cooking, listening to music, dancing and ping pong. Fearless to the ‘T’ & a driver by nature, Neha has a Masters in Psychology with over 10 years of outbound training and leadership experience. She truly believes that the way to learn is through one’s experience & thus the close nit association with Experiential Education. A keen learner, a clear communicator and a very effective outdoor educator, she believes that the outdoors have great mentoring powers. She has extensive experience in leading groups in wilderness settings, facilitating life skills & curriculum based programs. Most of her experience has been with leading education program in various settings with children across various age groups and of both rural & urban background. Her background in psychology and her passion for mentoring stems from her astute understanding of the outdoor environment coupled with her learnt technical skills in the outdoors. She holds a trainers certification in Outdoor Ethics with Leave No Trace, is a certified instructor in Experiential Learning, certified Wilderness First Responder from Wilderness Medicine Institute (WMI), USA, and an advance scuba diving from PADI. Her other interests include fire poi, outdoor course design, community service and seeks to be challenged in all aspects of work. Satish came from very humble beginnings – not of a mountaineering or Sherpa family or clan – and through hard work, a consistently positive attitude and a true passion for the mountains, he has built his life as a highly respected mountaineer and guide. 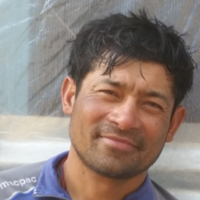 His story is compelling in light of Nepal’s many faces. On one hand, a mountain tourism mecca with Mount Everest presiding over breathtakingly high and beautiful peaks, and on the other an earthquake-prone country of devastating poverty – still trying to recover after 2015’s massive quake devastation. He has summited Mount Everest (8848m), Cho Oyu (8201m), Manaslu (8163m), Lobuche Peak (6145m), Ama Dablam (6858m), Mera Peak (6476m), Island Peak (6160m), Nireka Peak (6159m) and many more. He also climbed Mount Denali (6190m) in Alaska where he participated in a National Park Exchange program, doing ranger patrols on Denali, in the Grand Tetons, and in Yosemite USA, supported by the Alex Lowe Charitable Foundation. 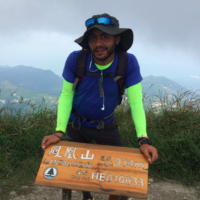 He also has a great passion for working with young people from International Schools in South East Asia, with focus on personal development and experiential learning in the mountains. Lois is originally from the south coast of Wales but feels privileged to have been able to call Cambodia home for the last five years. She spent two years living in the Cardamom Mountains in the rainforest running an eco-lodge and taking guests on adventurous activities such as trekking and kayaking. These days she is settled in Kampot and enjoys being part of the community there. 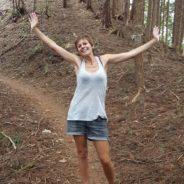 She has a passion for running and adventure and enjoys competing or exploring off the beaten track with her running shoes and a race pack at sunrise or sunset. Lois holds an MA in developmental and therapeutic use of play and is an experienced in using the outdoor environment for educational or therapeutic means. 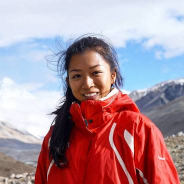 She is also an activity facilitator for climbing, kayaking, mountaineering, and yoga. Nigel is an artist, facilitator, convener, and writer based in Vancouver, BC. He brings insights from his diverse experiences with hip hop, public health and social innovation to his work as a facilitator. In addition to the above-mentioned pursuits, Nigel is also an experienced voice narrator and emerging screen actor. Shannon grew up in Port Orchard, Wa and studied finance in Bozeman, MT. Where she found a passion for the outdoors. She enjoys hiking, biking, skiing, playing soccer, and ran two marathons in 2016. 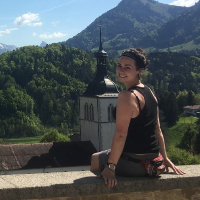 Since graduating Shannon has worked in Switzerland and Spain and cannot wait to explore more of the world. 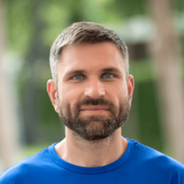 Academic curiosity and a passion to share his international perspective are core values shape the way Chris communicates and how he wishes to inspire through education. 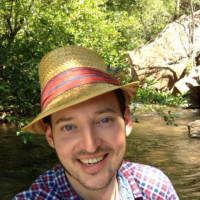 Chris’ first exposure to China came as a student abroad in Shanghai and Yunnan during the 2012 – 2013 school year, culminating in a short research project for his Cultural Anthropology thesis written in NW Yunnan. 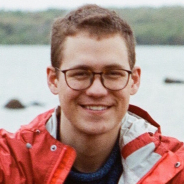 Princeton in Asia invited Chris back to China for two years of a service based fellowship after graduating from the University of Oregon, where he taught several humanities classes at Shihezi University in Xinjiang and played a substantial role in the Linden Centre’s Travel Curating and Programming departments in Yunnan from 2015 – 2017. Born in Florida and raised with love, Darby grew up adventuring. From trying to making homemade ravioli to biking across the southeast, she believes that anything can be a glorious adventure to be learned from if treated right. She attended the University of Florida for Visual Arts, specifically printmaking, which she likes to think of as a degree in creative, out of the box, thinking. After college, she “worked” as a lego master builder, building large scale lego sculptures now on exhibit all over the world. But sending legos all around the world was not enough, Darby wanted to see the world too. She moved to Thailand to teach English for a year and has been traveling ever since. 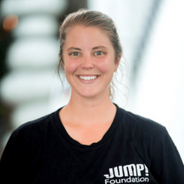 She has worked with youth both in and out of the classroom, leading outdoor adventure programs all over the US and internationally, she is excited to be joining us at JUMP! 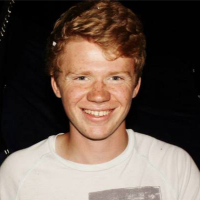 Peter has been working with international schools for over two years and helped thousands of students from all over the world to explore nature, the outdoors and also teach them new skills during different activities. These include rock climbing, kayaking, and archery to name a few. 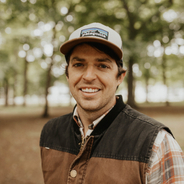 His passions about the outdoors comes from trying to get students out of their comfort zone, challenging themselves and building their confidence. During winter, Peter works in a resort as a skiing instructor, he teaches all different ages and different ski abilities. He is constantly looking for ways to better educate and run outdoor experiences. He is also a qualified WAFA, WFR, LEAVE NO TRACE TRAINER and Level 1 PSIA instructor. 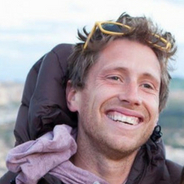 When not Jumping with JUMP!, Rowan is currently living in Australia teaching Outdoor Education and working in various schools as a relief teacher. He has been involved in Outdoor Education for the past 6 years of his life in various parts of the states and the world! When Rowan is not working for JUMP! he loves doing just about anything outside. Volleyball, Ultimate Frisbee, and rock climbing are a couple of his favorites. George lived a nomadic life as a child, his parents work meant that he got to live in Hong Kong, Cyprus and Saudi Arabia all before he was 10 years old. He eventually moved back to his native England and stayed there until he finished his school life. George graduated from the University of Plymouth with a degree in Marine Biology, and so the natural next step was to work in the Swiss Alps. 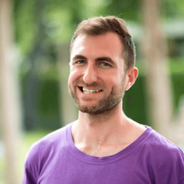 Since finishing University, George has been involved in outdoor and experiential education in Switzerland, England, Spain and is adding to that list by coming to South East Asia. George also spent 3 months this year working with a charity based on developing businesses and entrepreneurs in a quiet rural town in the Kenyan Highlands. George is a huge football fan (it’s the one thing he misses about home), and loves basically any sport. Racha is originally from Thailand. 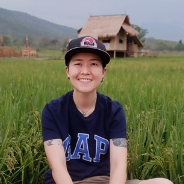 She has spent the past several years living in Chiang Mai and working in a volunteer tourism industry where she ran and managed sustainable volunteer projects in both conservation and community development. Racha has travelled extensively throughout Asia, Europe, North America and Africa. She enjoys nothing more than to embrace herself in new cultures, try local food, speak local language and interact with local people. She is also very passionate about her country, Buddhism & meditation and love sharing it with people from all over the world. Fall season 2017-18 will be Racha’s first JUMPing experience. Conrad’s passion for working with youth and the outdoors began at camp in Wisconsin. While going to university to study marketing Conrad spent his summers as a camp counselor and the school year working at the Boys and Girls club. After graduating, moving to Texas, and using his degree to work for a company selling advertising he knew he had to find something more meaningful. He took some time to explore Southeast Asia, before returning to the Midwest where he travels to grade schools teaching leadership lessons to students. 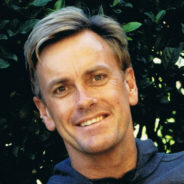 Conrad has facilitated trips in Fiji and the Colorado Rockies. Conrad believes in living in the moment, making the best out of any situation, and helping others find their passion. He is thrilled to be a part of this community and facilitate with JUMP! 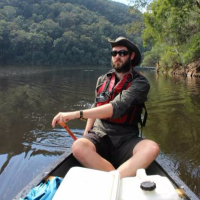 David started his career in Outdoor Education 5 years ago, studying at TAFE Western in Australia’s Blue Mountains. He has worked for numerous Outdoor Education and cultural immersion organisations in Australia and enjoys showing groups of young people the beauty of the natural landscape and teaching students about the indigenous people of Australia. David has hiked in Nepal, snorkeled in Fiji, portaged in Canada, cycled through Laos and back packed through more countries than he can remember. 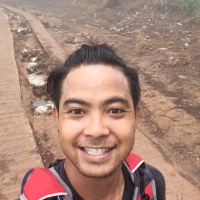 He is currently living in Laos and looking forward to facilitating with JUMP this season in the Southeast Asia region. Kristen grew up about an hour north of Toronto, Canada. After spending a summer in Northern Ontario when she was 16, going on canoe trips, helping maintain a provincial park, and learning how important it is to get outside of your comfort zone, she embraced her love for adventure. She graduated from the University of Ottawa with a Bachelor of Social Sciences, and in 2012 decided to relocate to Jaipur, India for six months. She worked as a Blogger and ESL teacher while travelling as much as she could around the country. In 2014 she moved to Seoul, South Korea to teach English. 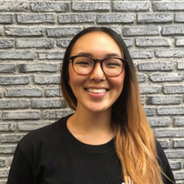 Kristen has lived in Seoul for almost three years (minus a few months here and there spent travelling and visiting home) and is excited to apply her experience to being a JUMP! facilitator, as well as continue to learn about different cultures and contribute to the personal development of youth. In her spare time she loves eating all foods, reading, writing, exploring, doing yoga, and dreaming of being a surfer (she’s done it twice but will someday be a real surfer girl). leads to a better world. Samson Swanick grew up on a small farm just outside Phoenix, Arizona. 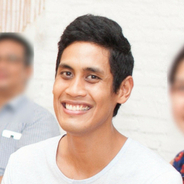 After receiving his bachelor’s degree in Anthropology and Global Studies, he moved to Indonesia as part of a Fulbright scholarship. 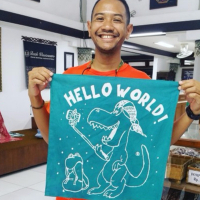 After the completion of a year living on the island of Java, he was awarded another Fulbright scholarship and lived a year in the harbor town of Makassar, Sulawesi. Then, he moved to Bali to help design the summer camp program at the internationally acclaimed Green School. Inspired by the biodiversity and cultures he explored throughout the archipelago, he returned to the states to pursue a Masters degree in Sustainable Communities with a focus on education. 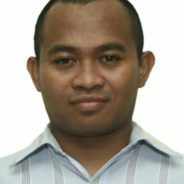 Entrenched in grassroots community development, international sustainable development, and teaching college freshmen based on transformational pedagogy, he returned to Indonesia. 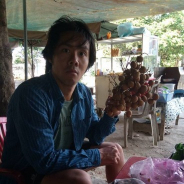 For the last four years, he has been designing and running experiential education programs for sustainability in Southeast Asia and running a permaculture farm. When he is not traveling, you can find him offering Tea ceremonies, meditating, building aquaponic systems, performing positive hip-hop, and seeing clients for transpersonal hypnotherapy sessions. Besides having a great passion for sustainability and transformational education, he is also a connoisseur of puns and dad jokes. 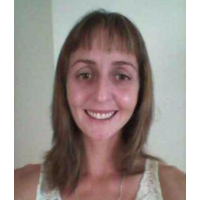 Casie is a passionate, motivated and enthusiastic educator from Australia. She has been working as an outdoor educator and experiential facilitator worldwide for over 15 years, with 5 of those years spent lecturing outdoor education at Victoria University, Australia. 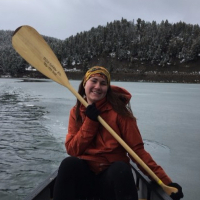 Along with holding a BA in Education, Casie is currently completing her Ph.D. thesis on helping young people to develop resilience and adaptive coping skills through outdoor education, assisting them to cope better with the stressors of today’s society. It is her vision to empower youth, impart knowledge and give opportunities for all young people to be a part of real life, meaningful experiences across cultures. In her spare time, she loves practicing yoga, meditation, personal development training, being active and exploring the world. Casie loves everything water! Frozen water for skiing, whitewater for rafting, and salt water for swimming. Sarah Louise Kristiansen is an international choreographer and movement director. She also runs Making Dance Happen, which brings dance and arts to communities globally. In addition to holding a BA (Hons) in Dance from Kingston University, Sarah Louise has travelled the world dancing and has worked in prestigious venues including The Royal Albert Hall (London) The Kremlin Theatre (Moscow), the Gwangju Biennial (Gwangju, South Korea) and has completed further training at Millenium Dance Studios and EDGE Pac in Los Angeles. Sarah Louise is known for her work with the Gwangju Biennale (South Korea), Awareness Through Dance (Ghana) and a series of her own work in venues in London and across Europe. Ekkampon is a passionate professional full of charisma and with superb communication skills. He has worked in multi-cultural environments with diverse groups and knows how to take initiative and how to make sure every voice is heard. He is a flexible, reliable, and inspiring Facilitator who is always open to hear the opinion of others. 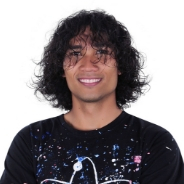 Ted was born and raised in Bacolod City, Philippines. He started facilitating leadership and team building programs back in 2013 with Youth Empowering Youth Initiative, a local organization he co-founded. He has a passion for the arts, outdoors and youth empowerment, which led him to become a Physical Education teacher. 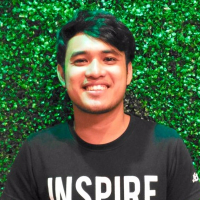 Even with a full-time job as an educator, he takes time volunteering and organizing different programs for community development and empowering the Filipino youth. Rianna is from Vancouver, Canada and has spent her life hiking or snowboarding on the mountains, or lounging by the lakes. Rianna has her degree in Social Work as she has a passion for community development. During her schooling, she spent time in South Africa helping to pioneer an anti-child trafficking NGO. She also spent time studying in Austria, where she mixed her passion for the outdoors with her curiosity for engaging in new cultures. 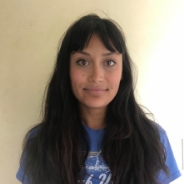 Rianna’s love for engaging with people and cultures has brought her to work as a child protection social worker in Canada, while allowing her to help with Jump initiatives over in Vancouver. Aie was born and raised in Jakarta, the capital city of Indonesia. She has graduated with a degree in Dutch from the University of Indonesia. Being outdoors is her thing! 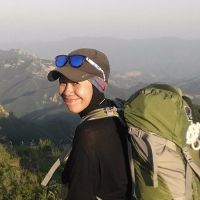 With the love of the outdoors, she spent years working with youth, leading backpacking trips, facilitating experiential learning and cross-cultural programs in several countries with various organizations. She loves travelling! When travelling, she enjoys nothing more than to diving into new cultures, trying local foods, speaking local languages, and interacting with local people. 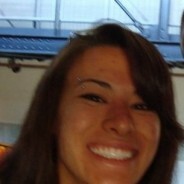 She is also passionate about her country and loves sharing it with people from all around the world. Aie is an incurable optimist and has boundless energy, mainly fueled by caffeine from her tea and coffee drinking habit. Rachel comes from a small village on the west coast of Ireland, and has always dreamed of big things. After years of volunteering and working as a swim teacher and swimming aid for children with disabilities she decided to go and study Sociology and Film Studies at University College Dublin. 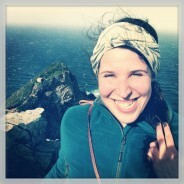 In 2011 she took her first steps into the Outdoor industry, and quickly fell in love. 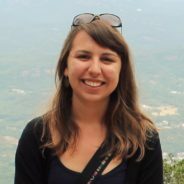 In 2012 she moved to Hong Kong to pursue her dream career and has been working, volunteering and travelling ever since all over Europe, Asia and Australia. She loves fairy lights, and Christmas. Born and raised in the island of Sumatra with so many diversity of cultures in Indonesia, Sondang is really into cross-cultural understanding to reach harmony with each other. She studied tourism and her passion is making good and positive impacts to any works she does and every people she meets. 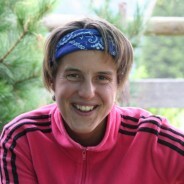 She has been leading outdoor school experiences since 2010 with a variety of ages and schools from all over the world. Each coming to experience a little part of Indonesia on the small islands of Riau territory through social projects or teaching English. She also managed and took University students to be immersed in the local society during homestays for cross-cultural studies. She has now been with JUMP! just over a year, running programs in Indonesia and China. She loves people, traveling, learning new things in life, singing and eating all kind of desserts. Originally from the USA, Tanya has spent the past several years living in Australia and working at the University of Queensland Global Change Institute where she coordinates online courses. Her role often branches out to allow her to explore the many ways to communicate science: from creating videos and facilitating workshops with school groups, to doing background research for policy documents. In her spare time, she likes to play frisbee, read, hike and volunteer for science projects, like the Flinder’s Reef Ecological Assessment. Born and raised in Michigan, Alyson has a strong background in Middle Eastern Studies, and is proficient in Modern Standard Arabic. Alyson completed her B.A. in International and Area Studies at Kalamazoo College and received her M.A. in International Development at the Monterey Institute of International Studies. For many years, Alyson co-coordinated an after-school program focused on creative expression at Kalamazoo Central High School. Alyson continues to focus on the role of youth in the development process. Titus is one of the founding leaders of CMETrust, an organization working to advance education by providing secondary school scholarships to students in Nairobi. He grew up in the Mathare Valley and has a good understanding of what life is like in the slum. 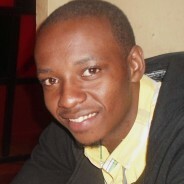 Titus, popularly known as Tito, believes that to say life in Mathare is challenging is an understatement. It’s these barriers that he endeavors to alleviate through his contribution and participation in CMETrust and other initiatives so that the upcoming generations could have an easier access to a better future. 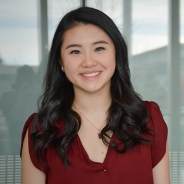 Originally from North Carolina, Liz received her BA in Chinese Language and Literature with a minor in Sociology from George Washington University in Washington, DC. She spent her semesters interning at several child-advocacy non-profit organizations and her summers outdoors in the north Georgia mountains as a camp counselor and supervisor. She is currently pursuing a Masters degree in International Development and International Economics at Johns Hopkins University’s School of Advanced International Studies. Skott was born in Canada. He studied and worked as a professional actor before moving overseas in 2003. Upon arriving in Beijing, Skott founded NewSeed Theatre which, at the time, was the city’s only English-speaking contemporary theatre company. It was here that Skott moved behind the scenes and into the producer and director chairs. Between 2006 to 2010, Skott left China to pursue a music career in London, UK before heading back to Canada to continue his studies at Concordia University in Montreal. Originally from Germany, Wiebke lives in South Africa. She works as a freelance facilitator worldwide devoting her work and life to personal development and leadership in a global context. 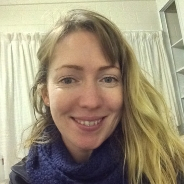 As International Programme Manager of Educo Africa she runs wilderness and community based Social Justice and conscious global citizenship courses for groups of academics, professionals and young people from all over the world. Experiential methodology and the use of wilderness as a tool for growth and self-recognition are central in her work. 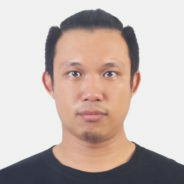 Tawun is half Thai and half-English and grew up in Bangladesh, Cambodia, Uganda and Thailand. Growing up in a number of countries sparked his interest in experiencing different cultures and the outdoors. 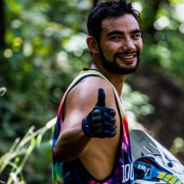 He holds a degree in Ecology from Bournemouth University and after graduating, returned to Thailand where he played professional football for a year in Bangkok before moving to Chiang Mai where he works at a fitness bootcamp and as a downhill mountain bike guide. Tawun enjoys being active and can be found outside more often than not either mountain biking, fishing, surfing or hiking. Serafina was born and raised in a religious cult in Aotearoa, New Zealand until the age of 17. When the cult fell apart she set off on a journey across continents to discover life in the real world. Her daily life is dedicated to helping create a world where every person is empowered to own their freedom and to be who they choose to be. A world that embraces all of humanity as one community, with the same access and opportunity for everyone, everywhere. She loves to connect, listen, learn, share and co-inspire with people from all cultures, backgrounds and ages. 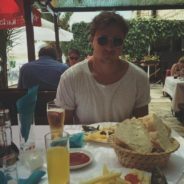 Brendan grew up moving around the world, and lived in Bahrain, Costa Rica, Estonia, Washington DC, Vienna, San Diego, Munich, and London before settling down for 4 years of university in the USA. After that, he taught photography and creative writing for a year in New Orleans before moving to Beijing to help start an experimental learning center. 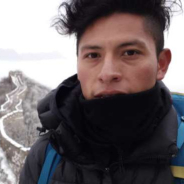 Since early 2016, he has been traveling, taking pictures, and seeking out new projects and education collaborations – so he is thrilled to be working with JUMP! Randy grew up in NYC and studied public policy and jazz in Washington, DC. During school he discovered a love for the environment and went to work at the U.S. Green Building Council. After working in the green building world for a few years he set his sights on another industry that impacts the environment, agriculture. Randy co-founded an international NGO called Can YA Love that helps communities grow sustainable food using vertical gardens. He is also the Creator and Lead Facilitator of The Food Trade Game, an experiential learning tool to facilitate dialogue and action, to create a more just food system. 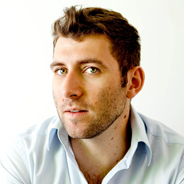 He currently lives in Vancouver, Canada with his wife and works at the Non-GMO Project as a business analyst. I am a left-handed. I was born and raised in one of the beautiful diverse culture province in Southern Thailand, called Yala. I have recently got a bachelor degree in Political Science, majoring International Relations. When I was in college, I had worked as coordinator of the Thai roommates program for foreign exchange student, Institution of South East Asian Affairs at Chiang Mai University for 2 years. Besides putting my eyes on global current affair, I like arts, languages, cultures, outdoor activities and dancing. I am currently working as a nutrient cooking instructor and a dog runner. 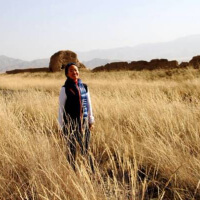 Wendy Kung is a passionate educator and experiential travel writer who has been devoted to discovering hidden ancient sites while delivering an objective approach to different history and cultures in China. 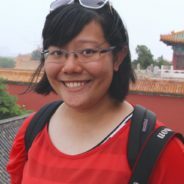 She attributes this passion to her experience as an international student in Beijing and Shanghai from 2003-2013, where she learnt the technique of listening and merit of empathy. When not working, she loves cycling and all kinds of water sports, a habit picked up during her childhood in Taiwan. A proud Kentucky native, Britt graduated from the University of Kentucky in 2015 with a degree in Arts Administration, Spanish and Theater. She first experienced the benefits of experiential education eight years ago when she attended a unique summer camp for rising seniors. She left feeling truly inspired and has since served as a facilitator for the past five years at that same camp. In her free time, Britt enjoys being in, around, or on the water. 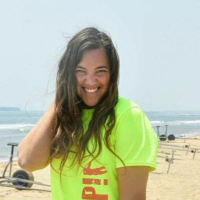 Her passions have taken her all over the world from lifeguarding at Disney World to training dolphins in Bermuda. For the past year, Brittney has been living in modest isolation at a Buddhist nunnery in Myanmar where she taught English and basic computer skills and, in return, learned about meditation and the simplicity of happiness. In addition to her work internationally, Britt helped found Art in Unlikely Places, a nonprofit which continues to serve the Lexington community through art therapy and creative workshops. Ultimately, though, Brittney is a student at heart. 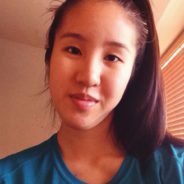 Originally from Hong Kong, Cherie was raised in California and had lived/worked in Azerbaijan, Romania and Sri Lanka as a trainer. She is an Associate Certified Coach with the International Coach Federation, and she specialises in life coaching, teen coaching, mentoring youths and young leaders. She coaches because she experienced a transformational journey at an early age when she felt empowered and had the courage to make a 180 degrees turn in service of her passion and meaning she has defined for her life. 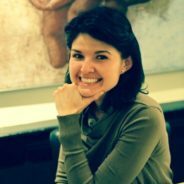 Inspired by her facilitation experience in Romania in 2012, she decided to move away from a career path associated with her Bachelor’s Degree in Marketing & Management, and listened to her true calling in pursuing a career path in becoming a professional certified coach. She aspires to pay it forward by empowering individuals (especially youths and young adults) to look for inspirations in their own lives, and to coach them to make moment by moment decisions that would lead them to live a more meaningful life. When she is not at work, she practices Muay Thai, and can be found spending time in the nature hiking or camping. She also loves experiencing different cultures and has backpacked (mostly solo) to 45 countries so far. 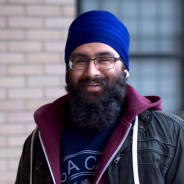 Amar is a dreamer, doer, community builder, systems thinker/shifter, and hugger who is born and raised in Vancouver, BC Canada. One of the reasons Amar is excited to be apart of the JUMP! team is because of he gets to bring out the potential of others to catalyze positive change. When Amar is not facilitating programs with JUMP! he can be found working on creating system change (he is currently working on amplifying his universities ability to be a Change Maker campus and foster a culture of social innovation and entrepreneurship), reading/writing poetry, going for walks and exploring the beauty of Vancouver, or spending time with friends and family. Some of Amar’s past experience include: Head Coach for his old high school soccer team, mentor/speaker with YELL! Canada, RADIUS Fellow, teaching assistant, business mentor for first year students at his university, and volunteer coordinator for his local Rotary clubs annual fundraising gala. Born in Salt Lake City, Utah and raised mostly in the Greater Seattle area, Nic was spoiled by the rich outside expanses of the Mountain West and Pacific Northwest. He graduated with a Bachelor of Arts in Psychology from Whitman College, where he swam at the Division III level and participated in the local school district’s mentorship programs. Nic’s international endeavors spurred after spending a year as an Americorps volunteer and YMCA-certified Personal Trainer serving underprivileged populations in Walla Walla, WA. Soon thereafter, he pursued a Teach English as a Foreign Language (TEFL) certificate and proceeded to teach English and Music at Singapore International School in Yangon, Myanmar for 8 months. He now hopes to continue expanding his and others’ minds throughout Southeast Asia. 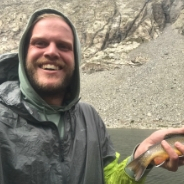 Devin Perno was fortunate to grow up in the beautiful sunny state of Colorado, where he developed a passion for the outdoors and everything related to nature – camping with the family, going on hiking expeditions, skiing through the mountains, and biking . Devin completed a BS in Environmental Science with two minors in Geology and Geography from the University of Colorado at Boulder. He pursued experience in this field working at the US Geological Society and Colorado State Parks. With an urge to see more of the world, Devin packed his bags to work at an outdoor company in Hawaii before venturing further afield to work at an outdoor education company in Yangshuo, China. He gained valuable insight into how a change of scene can cause a change of mind – boundaries were pushed, new experiences gained. 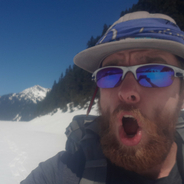 Devin discovered that working in outdoor education allowed him to be in the outdoors, sharing with others the same experiences that he loved, and the valuable learning and personal growth implicit in this. 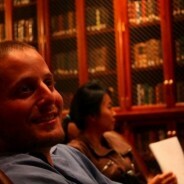 Four years later, Devin is still based in China while working as an educator all across Asia. He enjoys being in an environment that can teach others new experiences and gain new insights. In his free-time he is climbing, hiking, playing music, studying mandarin, and exploring the hidden corners of Asia. Amalya is an artist and educator from New Jersey, USA. 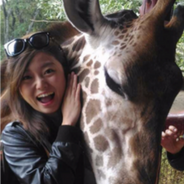 Currently based in Beijing, she has taught, done research and traveled throughout China. She completed teaching fellowships with Princeton in Asia in both Xinjiang and Hunan, and conducted independent research on women’s education and career paths in rural Hunan. Her art, which can be viewed at amalyamegerman.com, makes use of organic and recycled materials, including eggshells, bones, walnuts, sand, and shirts. 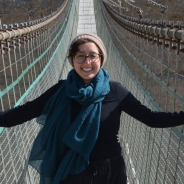 Her experiential education work has included leading trips with Princeton University’s Outdoor Action program and facilitating arts and anthropology workshops with Gakko, a global, interdisciplinary education collective, in Japan and Romania. 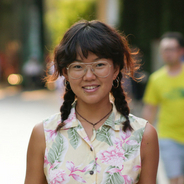 She can usually be found biking around Beijing, cooking up a storm, or reading. Eva is from Vancouver, Canada. She loves spending time outdoors, traveling, and learning about new places! She also enjoys her job teaching swimming lessons. 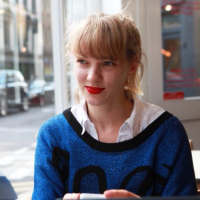 Eva is studying international development and is passionate about education and the environment. Her interest in these areas was sparked by a school trip to Bhutan, where she and her classmates helped the monks at the Phajoding monastery to build a new classroom. 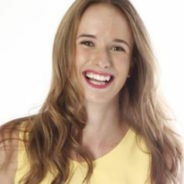 Emeline is a dynamic and enthusiastic French-Australian young professional interested in people, culture and sustainable development, and working in project management and stakeholder engagement in the fields of global education and Australia-Asia relations. Emeline is passionate about inspiring and empowering people, particularly young people, to create positive change and make the world a better place. 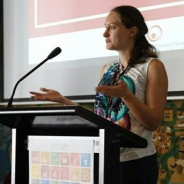 Outside of her work at the Asia Education Foundation and her volunteer committee role with the UN Association’s Young Professionals Network, Emeline is currently learning Mandarin at the University of Melbourne’s Confucius Institute. Emeline has a Master of International Relations with Honours from La Trobe University. She was a delegate of the China-Australia Millennial Project 2017. Manuel was born and raised in Mexico City, where he graduated with a degree in Industrial Engineering. After 10 years of experience and training in Chinese martial arts, he followed his passion and ventured to China to learn more. While in China, he also studied the language and traditional Chinese medicine. For the past six years, Manuel participated in many cultural exchanges and volunteer programs in China, in multiple leadership roles. He has facilitated several experiential education programs for The Jump! Foundation in China and Southeast Asia. 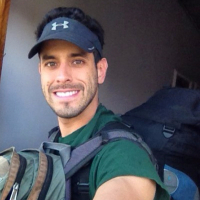 He currently works as a hiking and camping guide for the un-renovated sections of the Great Wall of China. Born in Halifax, Nova Soctia, but growing up in Ottawa, Ontario, Doug has a wild drive to explore Canada. Growing up at a sailing camp in Ottawa, then moving on to coach there and having a pool (along with two water polo playing sisters) in his family’s back yard, water has always been a huge part of Doug’s life. Adventures began after he graduated High school and signed on with the Tall Ship “Peclian of London” and did a Trans Atlantic crossing under sail. After that it was off to find few new ways to play in and around water. This led him to Laurentian University, in the beautiful landscape of Sudbury, Ontario. Here Doug studied Outdoor Adventure Leadership, along with finding a minor in Geography. Learning a bunch of outdoor skills, with a focus surrounding padding canoes, that built up to a month of paddling both flat and white-water and ending it all with a 12 day canoe trip on the Colounge River. After some soul finding in the North West Territories, he decided to make the move to Rossland, BC, to purse his love for frozen snow, i.e. snow, and snowboarding. Doug is the class clown when it comes to being around friends and family, believing that a good laugh solves almost anything, because if you can’t find a reason to smile with those around you then what is the point in doing it. With a very competitive family he loves to play any and all sport, game or puzzle. Sofía was born and bred in Barcelona, alongside her two brothers, but her attendance to an international school gave her a taste for traveling and discovering the world. She has recently graduated from university with a degree in organizational psychology, including an exchange in crazy Hong Kong and an internship in Bogotá, Colombia. She loves singing and playing her guitar and will go crazy for animals in general. Sofia does not know what her next step is going to be, but is eager to find out. 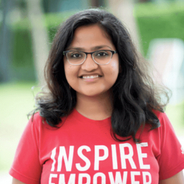 Aditi got her first taste for entrepreneurship when she started and grew her first NGO at the age of 17. Since then, she has worked across the globe in the education sector, as a program manager, curriculum designer and facilitator, teacher, researcher, content developer, designer and impact evaluator. She has worked with several organisations in education globally, such as Centre for Civil Society, Educational Initiatives Pvt. Ltd., Aga Khan Foundation (Kenya) and Teach For India. Previously she led ngoFuel and College-100 (US). Hayley hails from California, where she spent most of her childhood exploring the seas of Santa Cruz with her surf board. 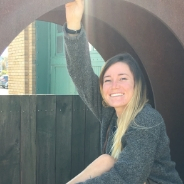 Upon graduating with a double major in English Literature and Children’s Theatre, she began leading multi-day backcountry trips through the Grand Canyon, Yosemite National Park, Zion National Park and Sequoia National Park.Most recently, Hayley has been working in China and Switzerland as an outdoor educator. When she isn’t zipping around the world, Hayley enjoys a solid sleeve of Oreos, milk, and a good book. John is an educator. He spent his childhood exploring the forests near Seattle in the Pacific Northwest, where his curiosity grew into a fascination with the way the natural world works. As a science teacher, he supported students as they learn to use models to understand the world around them and he worked with other teachers to develop and implement curriculum and instructional practices. While not teaching, you will most likely find John if you catch him on a run, stumble upon him reading in a cafe, or meet up with him after a backpacking trip. Claire has a background as a freelance dancer and choreographer which has shaped her career into project management and development. Claire is Co-Founder of Move the World, a UK Registered Charity that advocates for youth engaged Global Citizens through Community Development. Through creative experiences and opportunities Claire promotes leadership, confidence and global connection. She likes to be a bit crazy at times and believes that in order to effect real change a large element of creativity, passion and fun needs to be involved. JUMP! Programmes are close to heart for Claire and she’s looking forward to meeting some new faces, getting excited about the world around us and having a few good laughs! Carson hails from Albuquerque, New Mexico, home of the most beautiful sky in the world. 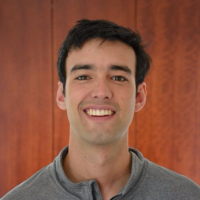 Carson has lived in Chile, Morocco, Spain, and New England (which he considers to be a foreign country), and over the course of his escapades, he has developed a passion for coffee-snobbery, urban cycling, and youth empowerment, the lattermost passion leading him to JUMP!. With an eye to showing the world the benefits of experiential education as an effective avenue to youth empowerment, Carson is excited to be a part of the JUMP! community! 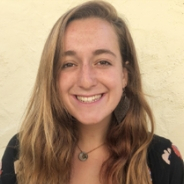 Hilary grew up in San Francisco and was introduced to experiential education and facilitation in junior high, which she believes laid the foundations of her personal leadership development and sparked her interest in community and nonprofit work. After studying abroad in Mexico and Hong Kong, she knew lifelong travel was officially here to stay in her life and vowed to return to contribute to meaningful work in this beautiful continent. Hilary is passionate about uplifting youth, students, and access to education. She has mentored and tutored primary school students and loves facilitating her student’s learning by challenging them in unfamiliar territory and empowering them with their own growth and confidence. Hilary served as lead medical instructor for a disaster medical organization she founded and directed. She loves equipping her students with skill sets and deeply rooted motivation to make meaningful impact within the communities they serve. Hilary is eager to spread her dosage of positivity, and appreciation for youth empowerment, cultural awareness, and global citizenship to the JUMP! Team! Annelies Tjebbes is a Biomedical Engineer and Social Innovator with a passion and drive to enable positive systems change. She is fired up about addressing inequities locally and globally and improving livelihoods in communities. She loves working with and investing in people and through her time as the Director, Community Impact at Engineers Without Borders she developed a particular passion for supporting young social innovators. Annelies now provides strategic planning and facilitation services through AnneliesVera Consulting to support NGOs, businesses and community projects. Highlights of this work include designing and delivering Indigenous Innovation Sessions across BC for the First Nations Technology Council, developing a chapter engagement strategy for the BC Cycling Association, and piloting a VR project to support the reintegration of former inmates into society. In her spare time Anneliesloves putting her creative side to use, and staying active on the soccer pitch and on her bike! Michaela grew up as an extracurricular activity whiz just outside of beautiful Vancouver, Canada, and thrives when in a group of interesting people working through challenges — be it performing a musical theatre production, a high stakes soccer game, or coming up with creative solutions to complex problems. 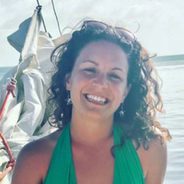 She was a competitive youth swim coach for almost a decade, and also worked as a lifeguard and Red Cross swim instructor during her summers as an undergrad student at Quest University Canada. Michaela’s thesis focused on social emotional learning and social justice in education, and she designed and implemented an after-school workshop in partnership with the YMCA. After graduating, she was chosen as a 2018 SFU RADIUS Fellow. Most recently, Michaela’s been working in Vancouver’s non-profit space, as well as recording her own music. very excited to get involved with Jump!’s cultural and photography programs. When she is not meeting new people or taking photos, she is usually searching out and enjoying the best of the local street art and cuisine. Growing up in Kunming, Long Yun began studying Martial Arts when she was 6 years old. In 2006, Long Yun became a Martial Arts teacher, as well as groups of international students and Chinese youth interested in entering gong fu competitions. She has also served as a judge for Martial Arts competitions. 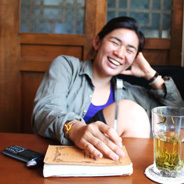 In 2010, Long Yun spent a year teaching Chinese and gong fu in northern Thailand, where she gained a rudimentary understanding of the language and culture. She has continued to dedicate her life to teaching and cares deeply about passing on her knowledge of Chinese culture and history to anyone who shares her passions. 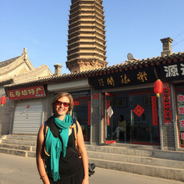 She remains incredibly excited about exploring new facets of Chinese culture with her students. In her free-time, Long Yun enjoys yoga, pilates, biking, hiking, running marathon and exploring new places and cultures. She also likes reading, writing, experimenting in the kitchen, and is gradually learning the art of baking. Ratna Nisa is originally from Jakarta, Indonesia. 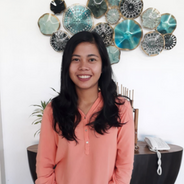 After receiving her degree in Industrial Technology, she moved to Bali Island where she has been living for more than 15 years. 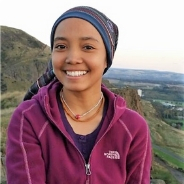 She was an Indonesian athlete doing sport climbing since she was 13 year old. She joined National, International and South East Asia competitions for achievement. In 2008 she was introduced as a Camp Instructor at the international acclaimed Green School in Bali to run about eco-culture, nature, environmental and outdoor education. Her position has allowed her to learn even more about nature, and sustainability living. and she LOVES being in nature!! After 6 years, Ratna is now working there and creates programs for students, individuals, school groups, adults and families. She is interested to learn about nature, environmental education, outdoors education and sustainable living and some projects to help with the community and teach about eco-culture. She not only loves climbing, hiking, and nature, but she also loves surfing and diving! 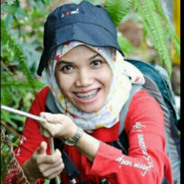 Ratna also leads may programs overseas as an Outdoor Educator. She hold certification and training in EFR; Water safety & Life Guarding; First Aid; AED; CPR; Leave No Trace Trainer; Professional Athlete; Basic and Intermediate Rock Climbing; Facilitating Students Program and Learning Outdoor ECO- Education. Facilitating Environmental Educations Program for International Student and Adult. Katrina began exploring human rights issues at a young age. She volunteered with Amnesty International, lobbying congressional officials across the country. This experience molded her identity, sense of self, and her place in the world. It led to her pursuit of a degree in Politics & Government. After study, she worked in a variety of sectors, from elections in US politics to international development abroad. Katrina thrives in new environments and cultures, striving to learn something new about the world around her and herself every day. You can find her balancing her all-in work style with yoga, meditation, dance, and daily reflection. consultant of ISB and PKU school and has been teaching more than 1000 students. Other than schedules and curriculum of School and College, most of Kalyan’s growing up and education has been through my “travel pursuits”. Learnt essential life skills to tread through the mountains, breathe in higher altitude with ease, walk through the valleys and passes, fly in the air with sails and zeal dive into the deep seas and earned a living as an outdoor consultant. 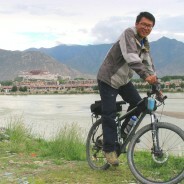 A passionate person who has experiences in the field of Education –Creating and leading Mountain biking expeditions, Setting biking trails, Ropes course activities, Leading high altitude /trail hikes, Facilitate Water sport activities ,Create and lead high altitude motor biking expeditions, he also has rich experience in Nature Conservation and Census Wildlife programs in India . Travis grew up in Michigan and now spends most of his time in California, Colorado, Utah, and Canada. He’s is primarily a landscape, product, portrait, action, and night photographer and does videography for product, travel, and weddings. He is also a writer covering many topics from travel and adventure to homelessness and social issues. 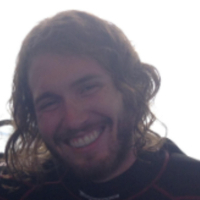 In his off time he enjoys playing baseball, lacrosse, snowboarding, and playing with his dog Ayla. 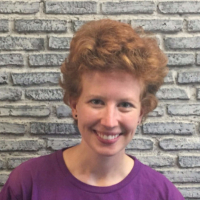 Sarah is an educator passionate about discovery, challenge, collaboration and community. She believes that that every student has the potential to be a powerful catalyst of their own destiny and steward of their environment. Her convictions are shaped by a combination of formal study and empirical practice in diverse environments, ranging from urban public schools in the US to rugged and rural settings throughout the world. Sarah was born in Chicago and grew up in Santa Barbara, California. She has worked, traveled or studied throughout the Americas and in pockets of Asia and Europe; when not traveling she calls Washington, D.C. home. Sarah holds a Bachelor of Arts from Georgetown University and Master of Teaching from Johns Hopkins School of Education. free time she loves to get out and sees new things, tries and learns new things and love talking with people with different backgrounds and learns about their culture. She also passionate about her traditional food and she loves to cook and shares it with friends. has explored many volcanoes mountains in Indonesia. being outdoors is his things! a combination of experiential learning and passion in adventures, led him to outdoor activities. 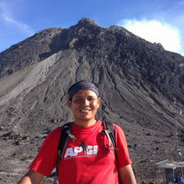 He work as facilitator experiential learning in Indonesia and mountain guide based in Yogyakarta. Ice mountain climbing is one of his biggest dream ever! to inspire youth for their own future paths. challenges through computer programming. Having been a Student Ambassador for Google, Microsoft, Mozilla etc. educating communities on the latest computing technologies, it took one visit to the Himalayas to begin his evolution into an Outdoor Educator who educates himself and children (he tried working with adults, in layman’s terms – yawn) through experiences, self-exploration, solitude, studyin ecology, active-lifestyles, barefooting, the value of fun and of course Linux. Arienta was born in Bandung West Java, Indonesia. She graduated from Tourism Institute in Jakarta. She’s been to 20 city in Indonesia as local guide and tour planner . She’s been several times to European country for a peace education involving teenagers. 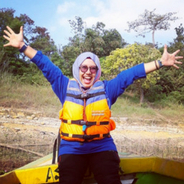 Her passion with teenagers bring her as a camp director in Indonesia for peace education. The experiences has broaden her the important of empowering people through understanding & acceptance. Sara grew up in Music City USA (Nashville) where she let local tunes sate her wanderlust in between adventures. 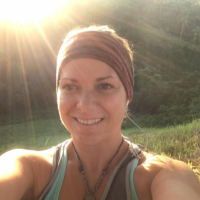 From working with teen therapeutic groups and teaching ESL in Central and South America, to coaching athletic teams and leading wilderness trips, Sara has worked with youth all over this beautiful planet as guide mentor, teacher, and friend. She is a Wilderness First Responder, Swift Water Rescue expert and a PASA certified kiteboarding instructor. Last year she lived in India earning her teaching certificate in Yoga and meditation. 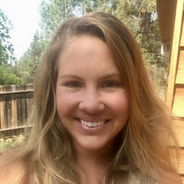 Sara’s home base is Bend, Oregon, and she’s thrilled to join JUMP! in Chiang Mai this year! 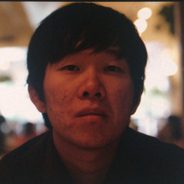 Dahan was born and raised in Beijing. After graduating from Urban Design in England, she went back to Beijing and started to pursue her passion in Film and Photography. She has a spectrum of experiences on film sets from camera to lighting to the art department, as well as production and acting. When off-set, she is an independent photographer and script writer. Right now she is working on her documentary series aimed to raise awareness for gender equality. Emily grew up in Essex, England before her family emigrated to New Zealand when she was seventeen. A change of pace and a country full of natural beauty saw Emily develop a passion for the outdoors and adventure. 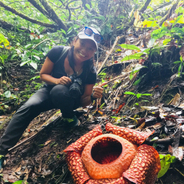 After graduating from University with an Arts Degree she packed her bags and moved to Asia to begin working seasonally as an Outdoor Educator moving destination every three months. Emily is happiest when laughing with friends, walking around a new destination or searching for good food. in Wilderness First Responder, Adult CPR, Lifeguarding and Search and Rescue. food intake… More importantly, Tyson is excited to join JUMP! efforts and intentions to promote a positive learning environment for all. Oktavia was born and raised in Yogyakarta, Indonesia. She has an interest in local traditions, art, and culture. She had taught the theater (drama class) for several years until she graduated and holds a bachelor degree in psychology. Her passion in learning about experiential learning methods in the field of training and development is very much in line with her current profession as an Experiential Learning Facilitator. Oktavia first joined JUMP! in 2016 during the J! Experience program in Yogyakarta. She enjoyed activities in the outdoor with various adventure, education, and development programs. Oktavia likes to sing and dance, swim, explore the beach and travel. She likes to try and learn new things and get new friends. Oktavia wants to learn scuba diving and she plans to continue her studies in the field of positive psychology and collaborate it with Experiential Learning methods. Sara is a Registered Clinical Counsellor who works with a diverse population of youth and adults in BC. Canadian born and raised in England, Sara returned to B.C. to complete her Masters degree in Psychology in 2012. 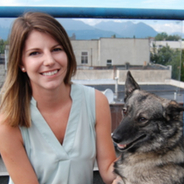 She now lives with her dog Cooper in North Vancouver, and loves exploring the North Shore mountains. In her spare time, you can find her hiking, snow shoeing, painting, cooking or spending time with friends. After several years of traveling, Maria has settled back in her home of Vancouver, BC, where she spends her free time rock climbing in Squamish. Maria has a Bachelor’s Degree in Tourism Management, and has been working for the YMCA of Greater Vancouver for the last 6 years. Maria is passionate about working with youth and young adults, as well as increasing her knowledge on mental health in the community. Jing grew up at a very small but busy town at the Northern most of Thailand. It’s a border city between Thailand and Myanmar called, Mae Sai. After she graduated Bachelor in Communication Arts. she went to study aboard in London for 2 years. When coming back to Thailand, she decided to fulfill her dream career by becoming a tour guide. She loves traveling and meeting new people. She believes it helps people learn fast and more understandable by doing and seeing it. 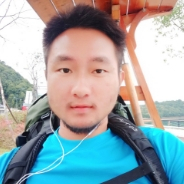 Jing has been working in tourism industry over 5 years. And now it’s her first year working with JUMP! And she’s so looking forward to it! Laura is an advocate for impact-driven businesses, and brings a combined background of communications and research. 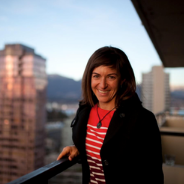 She has worked with startups out of UBC’s venture accelerator, entrepreneurship@UBC (e@UBC). She is leading initiatives to promote greater diversity amongst entrepreneurs, and looking to see how to create more equitable opportunities. 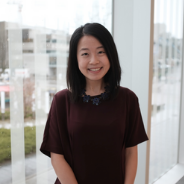 Previous to e@UBC, she worked as a Strategy Analyst for a clothing retailer, conducting research projects and compiling quarterly reporting systems. She holds a Bachelor of Commerce degree from the University of British Columbia, with a specialization in marketing and sustainability. Outside of work, Laura is part of a local organization combatting human trafficking, as well as the Vancouver Rent Bank. Laura is an avid traveler, hockey geek, amateur gardener, and experimenter of new recipes. Jane was a very shy Thai girl when she went to Denmark as an exchange student… After that… She discovered she was capable to do anything …. She is able to speak many languages. 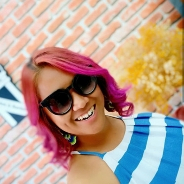 She loves Solo Traveling, being a Photographer, Enjoys her free time with Movies, Music, Fashion, Spa & F1. She is a morning person who wakes up early to take a motorcycle/bike with her camera. She has Green heart. Always concerned and react to reduce carbon print as she could. She graduated from Mass Communications and Master in Management. She started being a volunteer since age 18 as a translator and keen on event management for 20 years. She is a professional tour guide more than 15 years. She understands multi cultural due to she has wanderlust gene. She worked with UN Agencies / USAID / NGOs, and keep doing until now as a freelance. She starts to change the World in her own way and love to be sufficience Life. She’s funny and is always smiling. She loves to challenge her abilities to do something new and meet new people. Lewis was born by the beach in Edinburgh, Scotland. Shortly after leaving school he started teaching SCUBA diving. Diving lead him to develop a love for the underwater world, but after 1000 dives he was ready for new things. 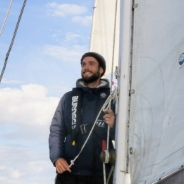 He branched out and made sailing his new passion. Soon he was teaching offshore sailing to teenagers in The Caribbean. Lewis has spent over three years working in Asia, and has worked with youth in Hong Kong, China and Cambodia, and The Caribbean. He has also lead a marine conservation project in rural Cambodia, and been on expedition in Pacific. Gabby grew up on the West Coast of the United States. She started her career in education as an Earth Science Teacher and established her foundation of facilitation skills in the classroom. Her love of the outdoors brought teaching opportunities across the nation at numerous outdoor education schools, farms, and most recently Directing and leading backpacking trips at teen-adventure travel companies. 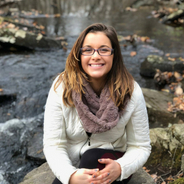 Gabby is always excited to empower her students and create accessible opportunities for all to work on their leadership skills in an outdoor setting! Billy was born in HuiZhou, China. A long-term travel in few yeas ago makes Billy be close to the nature and outdoor activities, that changed his life. The fresh air, spectacular nature and sweating in the wind make him understand what’s his life should be after the first time working in outdoor, he realized he can make so many people’s lives different, especially for the people who are the first time out of city to the nature. He thinks that’s who he was born to be. Untac’s love for traveling and discoveries started in his home country, the Kingdom of Wonder, Cambodia. After graduating from University in the field of engineering, he followed his heart and turned towards a very different career path in the tourism industry. He started with local tours and with his growing experience quickly got to know each corner of his country. Always looking toward larger horizons and with the constant aim of increasing his knowledge about the cultures, landscapes and histories of our world, Untac took the opportunities offered to him to travel across Asia, Australia and Europe. There isn’t any doubt that these trips have contributed to the constant growth of his wish to share ideas, points of view and knowledge with the people around him. Today, he takes great care to use his competences within meaningful community-supportive and educational tour companies around the world. Outside working hours you can find Untac in the countryside, on single tracks on his bicycle, or preparing some perfectly brewed coffee in one of the cafes in town. As a native Californian, Izzy grew up outdoors. Since her early days of playing in the dirt, she has gone on to guide outdoor trips in Hawaii, California, and other parts of the US. She has also guided various outdoor activities in Hong Kong and parts of mainland China. Her personal hobbies closely coincide with her work passion, so she loves to mountain bike, do yoga, hike, and of course, eat food. From managing five backpacking stoves, to using her shoes as a pillow, Izzy loves being outside and having fun with kids. Ella is from Malaysia. She discovered her love for the outdoors when she joined the school’s Explorers Club. She developed her skills while working with Nomad Adventure – coordinating and leading adventure-based learning programs that involved whitewater rafting, trekking, caving and high ropes courses. This was further reinforced with her Master’s degree in Outdoor Environmental and Sustainability Education from the University of Edinburgh. 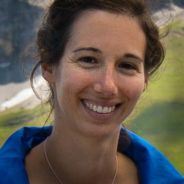 Ecological literacy and a sense of adventure are the fundamentals to how she wishes to inspire students build better human-nature connections. Reading, climbing, traditional dancing, yoga, jigsaw puzzles and chocolates are some of her favourite things. With JUMP!, she hopes to empower students to believe that they can make a positive difference in the world with their own unique way. 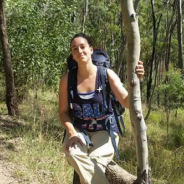 Alice is an Australian with a great love of travel and Outdoor Education. She spent ten gruelling but rewarding months studying with Outward Bound Australia in 2015. 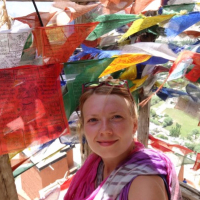 She has since used her qualifications in Outdoor Education to travel the world working in in Nepal, Cambodia and Malaysia. One of her career highlights was traveling to Dhading in Nepal where she worked in remote villages that had been affected by earthquakes and landslides. Here she helped teach first aid, and taught the community about emergency response techniques. Alice is passionate about expanding her own comfort zones and also those of the participants she works with. Travis, raised in the rolling hills of Southern Indiana fell in love with the outdoors at a young age. He studied Psychology at university. After a few years in outdoor education around the US he started pursuing new geography and challenges on an international level. Continuing to find love in the outdoors Travis enjoys documenting with photography. When he is not leading groups you will often find him wandering the woods, camera in hand. 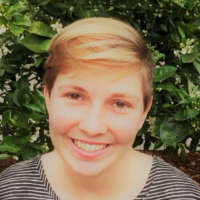 Olivia’s Anthropology and Environmental field studies in school have brought her to the Galapagos Islands, South Africa, Banff national park, and even an eco-village outside Asheville, NC. Beyond her travels with school, Olivia has spent summers traveling since she was twelve. She has led hiking trips in New England, backpacked through Yellowstone, biked from Seattle to San Francisco, sailed from 3,000 miles, studied animal behavior in Costa Rica, done community service and SCUBA diving while hiking through Fiji and Australia, and led outdoor trips in Northern California for young teenagers. Olivia takes great pleasure in sharing outdoor experiences with others, something she has done as a pre-orientation trip leader and co-president of the outing club at the College of Charleston. Larissa is an experiential learner and health innovation strategist, dedicated to community engagement and global exploration. Her passions lie in connecting with diverse individuals and identifying areas of strategic collaboration, empowerment & support. 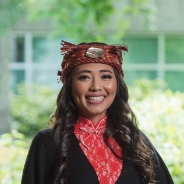 She’s completed her BSc in Population & Quantitative Health at SFU with specialties in gerontology, social equity, and health management, and currently works as the Business Development Associate at an immuno-oncolytic therapeutics R&D company called Virogin Biotech, and assists local businesses and non-profits with developing effective digital marketing & communications strategies. 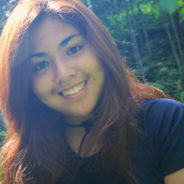 Larissa enjoys travelling, photography and learning about life-hacking and innovative systems change. With one foot in cedar and another in bamboo, Melissa is on a life long journey of catching the flow of her ancestors. She is from the ‘Namgis Nation of Yalis, Alert Bay. With the gift to walk multiple worlds, she works to facilitate conversations and opportunities for both communities she is from to come together, learn more about each other and to create spaces for bridges of solidarities to form between all cultures and communities. Her undergraduate degree was in First Nations and Indigenous Studies and minored in Law and Society as well. Exploring her mixed roots identity is also at the heart of Melissa’s artistic manifestations. Through the creation of fashion designing, poetry writing, filmmaking, photography and getting involved with land-based education, she explores topics of love, identity and what it means to find (be) longing through (dis) placement and how one can have body sovereignty through all this. Moh is from the North of Thailand. She is a student of Global Studies and Social Entrepreneurship. She spent the past years in university traveling to explore and make impacts on social innovation and social entrepreneurship around South East Asia and Nepal. Making social change is difficult, yet, it allows her to develop the skills to pass on positive energy to people in the room and motivate others around her to be optimistic. She believes in creating space for young people to unlock their full potentials. Cami grew up in Montreal, Canada. After completing a degree in performance arts, she packed all of her belongings to follow her passion, the outdoors. She chased the mountains instructing snowboarding and yoga in Japan, New Zealand and around the Canadian Rockies. 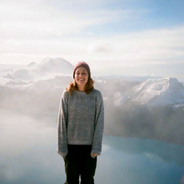 She developed a strong interest in experiential education working as a tour guide, leading youth on road trips around North America to expose them to social and environmental issues. These experiences have cultivated her enthusiasm to empower young people to find what makes them feel alive and build self-confidence to discover their own potential.